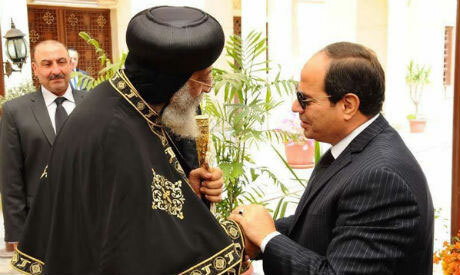 Egypt’s President Abdel-Fattah El-Sisi called Pope Tawadros II, the head of the Coptic Orthodox Church, to express his sincere condolences for the victims of the terrorist attack on a bus carrying Coptic Christians, which killed at least seven and injured 12 near the Monastery of Saint Samuel the Confessor in Upper Egypt's Minya on Friday, a statement released by the church said. El-Sisi had issued a statement on his official Facebook page shortly after the attack mourning the victims, vowing to continue the war against terrorism. Meanwhile, Egypt’s prosecutor-general Nabil Sadek has dispatched a team of prosecutors to the site of the terrorist attack to start investigations.